1) The relation of parthood is exhaustively characterized by classical extensional mereology. 2) Every contingent feature of our world is determined by some "fundamental" physical properties and by the spatio-temporal relations between their bearers. 3) The evaluation of any counterfactual conditional involves a particular kind of similarity relation between the actual world and the scenario presented by the conditional. 4) Causation consists in a particular form of counterfactual link between the cause-event and the effect-event. Many different philosophers have taken the above issues as points of reference, while revising in depth important aspects of the general picture. Some philosophers have accepted the idea of a mereological constitution of the world, while at the same time admitting universals as relata of the part-whole relation - contrary to Lewis's nominalist stance. 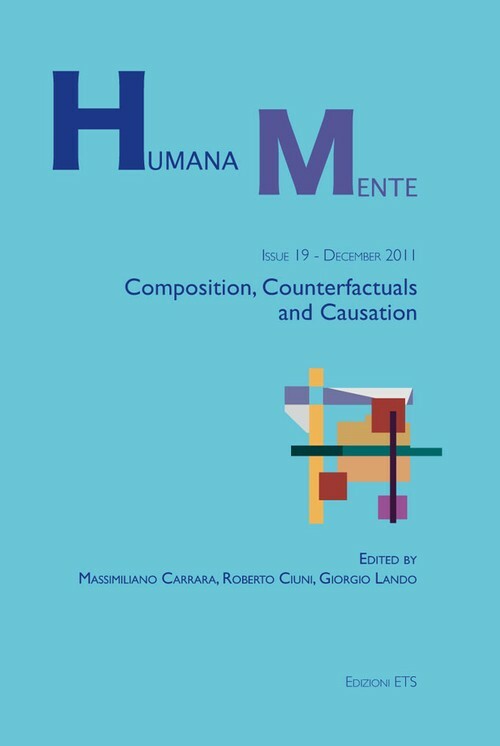 Many have accepted that counterfactuals are to be explained as a linguistic and modal phenomenon - not as a meta-linguistic one - but dismiss any analysis of counterfactuals in terms of similarity. Many accept the idea that causality implies some "resistance to counterfactual situations", and yet find the details or methodology of Lewis's theory of causation quite unsatisfactory. The views evolving from the criticisms or acceptance of 1-4 are still lively and ongoing. The idea behind this issue is to offer a ready-made representation of the most recent theories and position which are emerging in the debate and take David Lewis as their main theoretical source, critical target, or point of departure.